Building Commission Activities: FHBA Director of Governmental Affairs, Doug Buck, and Code Consultant, Joe Belcher, began a two week stint meeting with the Florida Building Commission (FBC) as they began work this week on what will become the 7th addition of the code. Not to worry, the new code will not take effect for at least 2 and 1/2 years. Because of changes to the code process adopted by the legislature in 2017, the process will take longer. But, there are no more automatic massive changes from the ICC. There will still be some changes, but the new process should allow us to more thoroughly evaluate the proposed changes. You can find additional information on FHBA web site or attend the Code Committee meeting at the SEBC. In addition, Chuck Fowke (FHBA Member and NAHB Third Vice Chair) sent an e-mail to Senator Rubio’s staff reminding them that he met with them less than one month ago to discuss this very issue. NAHB lobbyists converges on Senator Rubio’s staff as well. State Legislative Candidate Interviews: The FHBA is an active member of the State Chamber Political Institute. The institute is a non-profit political research organization. Amongst the research activities for members is the opportunity to interview legislative candidates. 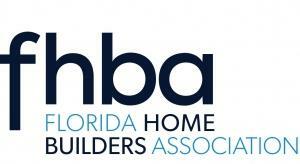 FHBA CEO, Rusty Payton attended two days of candidate interviews in Fort Lauderdale, interviewing 25 candidates. Much of the information gleemed at this interview and from the other sessions (which were attended by Rusty, FHBA Consultant Lobbyist Kari Hebrank and GOBA Governmental Affairs Director Lee Steinhauer) will be discussed at the July 11th PAC Board meeting being held at Rosen Shingle Creek. Earlier last week, a joint delegation from FHBA and the Builders Association of South Florida (BASF) met with Speaker Designate, Jose Oliva in Miami Lakes. Significant policy discussions included property rights, tree ordinances and the need to reign in impact fees and what they for what they can fund. Attending for FHBA were First Vice President Bill Truex, Consultant Lobbyist Kari Hebrank and CEO Rusty Payton. From BASF were Ben Solomon, Chair of BASF; Carolina Herrera, President of BASF; Astrin Martin BASF Board member; and Truly Burton, BASF Executive Officer. Public Service Commission: On rare occasion, FHBA interacts with the Public Service Commission (PSC) regarding issues affecting our industry. The FHBA filed public comments in support of underground distribution lines in new residential developments, because undergrounding appears to be the most cost-effect solution to preventing outages and optimizing the electric grid. Although the upfront cost to undergrounding may be higher, undergrounding saves the general body of rate-payers money by reducing physical damage to local electrical infrastructure, as well as, reducing utility’s operation and maintenance while optimizing revenue for the electrical utility by keeping the lights on. These savings should be accurately reflected in the formula used to allocate costs to developers. Our comments were developed by member of the FHBA Volume Builders Council and other large builders from around the state. To view a copy of the letter, click here. Even though official legislative business has taken a summer hiatus, the FHBA’s Governmental Affairs program is fully engaged with political, regulatory and future legislative priorities. NAHB’s analysis of Census Data from the Quarterly Starts and Completions by Purpose and Design survey indicates that with a small gain for the year, 2017 set a post-recession peak for custom home building starts (homes built on an owner’s land, with either the owner or a builder acting as the general contractor). There were 40,000 total custom starts for the final quarter of the year. Over the course of 2017, there were 172,000 custom single-family home starts, an increase of approximately 2% over the 2016 total. Note that this definition of custom home building does not include homes intended for sale, so the analysis uses a narrow definition of the sector. As measured on a one-year moving average, the market share of custom home building in terms of total single-family starts is now 20%, down from a cycle high of 31.5% set during the second quarter of 2009. The market share for custom home building will likely experience ups and downs in the quarters ahead as the overall single-family construction market expands. Recent declines in market share are due to an acceleration in overall single-family construction, especially in spec home building. For a look at the geography of custom home building, read this recent review of 2016 annual data. Building officials, developers, engineers, architects, and others are anticipating the next edition of the Florida Building Code, 5th Edition, effective December 31, 2017. Many projects to repair flood damage or to rebuild homes destroyed by Hurricane Irma and other flooding events may be subject to this edition of the Code. Nearly all of Florida’s flood -prone local jurisdictions participate in the National Flood Insurance Program and, along with the FBC, enforce local floodplain management regulations that must be coordinated with the FBC. Any community that has not yet adopted a flood ordinance coordinated with the FBC or has adopted an ordinance not reviewed by DEM is asked to follow up with us as soon as possible. The State Floodplain Management Office, a unit of DEM, supports local officials, design professionals and others with excerpts of the flood provisions in the FBC (including a summary of the changes between the 5th and 5th editions) and a summary of the flood design standards referenced by the FBC. Please go to www.floridadisaster.org/Mitigation, State Floodplain Management Office webpage to access the above information. The webpage also directs readers to two fact sheets prepared by Building A Safer Florida. One fact sheet describes the flood provisions in the FBC, key elements of flood resistant construction, flood hazard areas and flood conditions, and highlights the changes. The other fact sheet describes revisions to the Coastal Construction Control Line (CCCL) provisions in the FBC that more closely align with the existing coastal high hazard areas requirements. To access a primer on flood resistant construction, view or download the Florida Quick Guide for Floodplain Management, visit the State Floodplain Management Office page at www.floridadisaster.org/Mitigation. An executed emergency order by Governor Scott and DBPR Secretary, Johnathan Zachem, has been released allowing general, residential or building contractors to repair and install roofs. This temporary order provides that certified or registered general, building or residential contractors are not required to subcontract roofing repairs or installation. It further provides that local jurisdictions may provide for a specialty licensure to repair or install roofs without adopting further ordinances.